Who is Jill Tullman & Associates? Jill Tullman and Associates, is a group of Speech-Language Pathologists dedicated to improving communication and participation for individuals with complex communication needs. 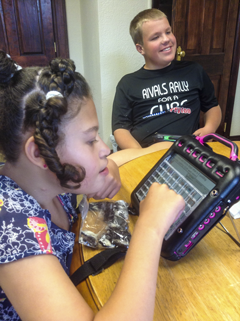 We provide augmentative and alternative communication (AAC) assessments, consultations, trainings, and interventions to individuals who have complex communication needs and use augmentative and alternative communication (AAC) techniques, strategies, speech generating devices, and/or AAC applications on iDevices. We increase communication and participation for individuals who have complex communication needs and rely on augmentative and alternative communication (AAC). We accomplish these goals through provision of high quality evaluations, consultations, interventions, and/or trainings.